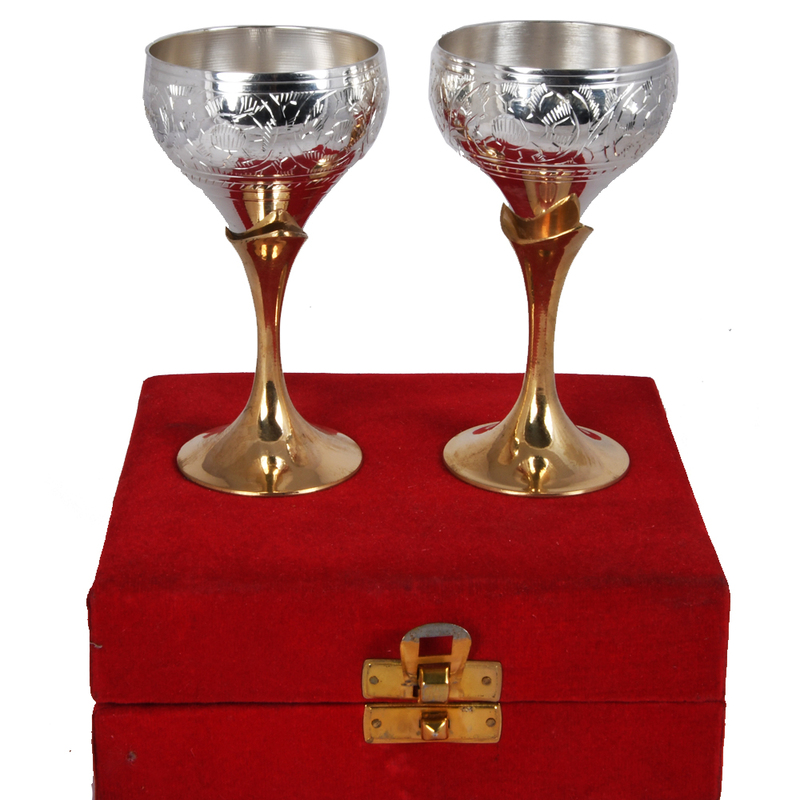 Make the hangout more interesting with this two tone germen silver made wine glass set. The shape & design of the glasses are ideal for Read More..the high profile parties. 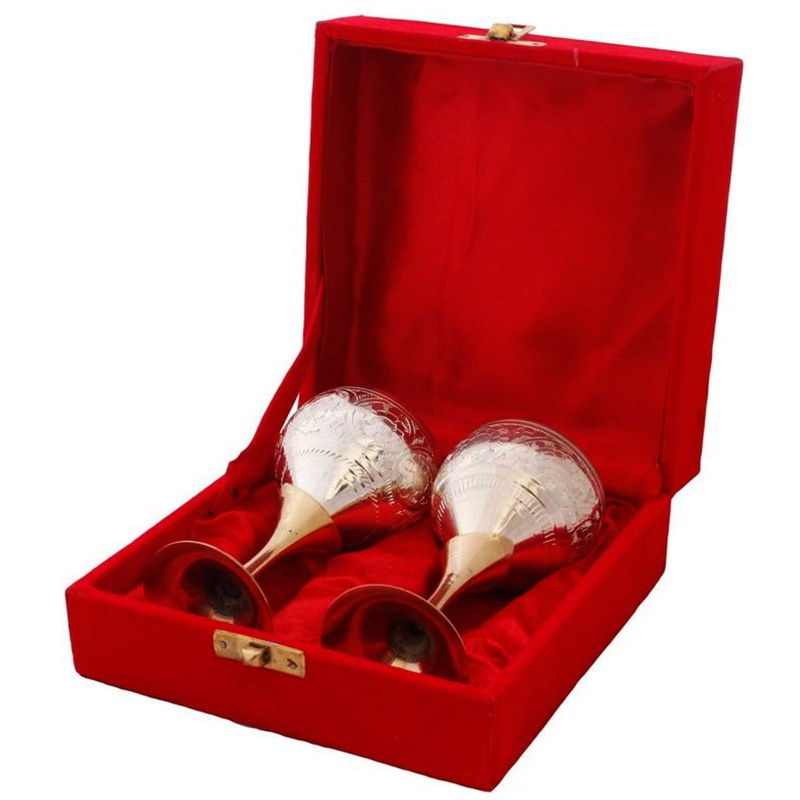 Welcome your guests with a glassful of wine in these glasses & win the heart of your special one among the crowd. The weight, style, finish & minute decorations throughout the body of the glasses will make you irresistible to grab it into your hands. The shine of the Germen Silver makes it look very elegant & rich. For safety, it comes in a perfect packing of a red velvet box. You can avail it easily from boontoon as the offer that boontoon will give you won’t hurt your pocket at all! Show Less..